Along with showing the results, we’ve included our interpretation of the data to help you draw insights and apply them as you continue down your ABM journey. The research underscores where companies are at with their ABM programs and the key challenges they are facing. Regardless of your company size or maturity, there is always a need to grow your business and drive efficiency. 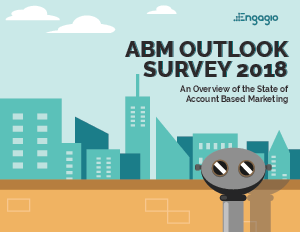 The data from this survey illustrates how ABM can help.